Jesus’ parable of the judgment of the nations is often presented in ways that associate our treatment of anyone who is hungry, thirsty, a foreigner, naked, sick and imprisoned as synonymous with how we treat Jesus. Many Scriptures clearly call us to care for the poor, excluded, immigrants and prisoners. But numerous details in this parable suggest a different interpretation. Jesus here teaches on the future judgment of non-Jews (the nations=ethnos), whom he commissions his disciples to evangelize and make disciples of before he departs (see Matthew 28:18-20). This parable is not about the judgment of nation states as institutions (though they will be judged), but about Jesus’ future response to how people treat his followers who go out spreading the word. These “righteous” don’t understand when they had done this for him, this Son of Man– the shepherd King. They hadn’t recognized him or made the associations he names. “The King will answer and say to them, ‘Truly I say to you, to the extent that you did it to one of these brothers of mine, even the least of them, you did it to me’ (Matt 25:40). Who exactly are the King’s “brothers” and also “the least of these” in this parable? For most of my ministry I read this as referring to anyone in the category of hungry, sick, naked, a foreigner, or prisoner. This interpretation puts permanent pressure on all non-Jews to serve everyone who fits into these categories—or else you will be accursed and sent into “the eternal fire which has been prepared for the devil and his angels” (25:42). Is this the motivation Jesus is suggesting we should have as we minister to the poor, immigrants, refugees and prisoners? I don’t think so. God’s abundant and tender love for the poor and excluded is the only sustainable motivation. I think that this parable is about God’s judgment of non-Jews who receive or reject followers of Jesus as they go to fulfill Jesus’ commission to make disciples, baptize and teach. In Matthew Jesus consistently refers to his disciples as his brothers distinct from blood brothers/sisters (see Matt 12:48; 28:10). Jesus also calls fellow believers to treat one another as brothers and sisters (Matt 18:15 35; 23:8) of our common Father in heaven. Western Christians may find identifying Jesus’ followers as the hungry, thirsty, naked, foreigners, imprisoned of this parable difficult due to our distance from the ragged and persecuted state of early Christ followers and today’s persecuted believers and precarious ministry workers. Yet Christians today are marginalized, persecuted and martyred like never before in history in many places throughout the world—including inside our prison system. Jesus’ disciples who carry on his mission were sent out in vulnerability, without money, extra clothes or even sandals (Matt 10:10), as persecuted “sheep in the midst of wolves”—a big challenge to us now. They were often strangers and even foreigners as they went from village to village and to foreign lands, fleeing persecution (Matt 10:16-23). They were dependent upon people’s hospitality (those people of peace who received them). But they were often rejected, persecuted, imprisoned and martyred (Matt 5:10-12). In Jesus’ parable, receiving them equals receiving him—a total identification. Jesus’ identifying himself, the King with the “least of these” represents his deliberate inclusion of the humblest of his recruits who go out on mission. When we receive a humble disciple of Jesus, Jesus says we are receiving the King, the Son of the Father himself. May we welcome, provide for, care for and advocate for those who minister in Jesus’ name. May we intercede for the persecuted church worldwide, and be inspired ourselves to join the company of Jesus’ brothers and sisters—even the “least of these,” knowing that even if the world does not always receive us, Jesus has our back. For further reflections on this, see my chapter eight of my new book, The Beautiful Gate: Enter Jesus’ Global Liberation Movement, which can be ordered here. There is a grave danger this week for those watching global events– to become excited and drawn into alignment with pretender saviors of the vulnerable. Today I am trying to deliberately contemplate how Jesus came into Roman occupied Jerusalem as Savior of the World, in contrast to today’s global leaders. It seems we must continually decide who saves and how it is effectively accomplished. The US bombing of the Syrian air force base in retaliation for Assad’s use of chemical weapons to kill 80 defenseless civilians brought together liberals and conservatives. Both groups and many others share outrage at a horrific crime and guilty perpetrators. The defense of innocent children was the pretext and rallying cry. Abuses then and now are certainly barbarous and must be stopped, but how? Today a fleet of US Navy destroyers, aircraft carrier and submarines accompanied by Japanese warships heads to the Korean Peninsula to intimidate North Korean dictator Kim Jong-un ahead of possible nuclear weapons tests. Would Jesus council these acts of intimidation and possible bombings and invasion to remove this dictator should he refuse to back down? I readily admit that destroying weapons of destruction like MiG fighter jets appeals to me. But leveraging the use of violence and fleets to threaten more violence and calls to remove thug dictators in defense of women and children move us all closer to more death and chaos. We can certainly see evidence that US intervention to remove dictator Saddam Hussein from power in Iraq and Muammar Gaddafi in Libya brought further violence and chaos to these countries. And we must remember that the United States of America and the United Kingdom are the #1 and #2 weapons producers in the world—so can their council be trusted? The US Secretary of State, Rex Tillerson said earlier this week that the USA would come to the defense of innocent civilians “anywhere in the world.” Considering our track record in Iraq and Afghanistan it is unlikely that our way of defending will bring peace. Better that we begin by taking logs out of our own eyes. Barely two weeks ago the US was directed by Iraqi security forces to bomb two buildings in Mosul, Iraq that that were full of women and children, killing over 200. US forces have recently been active in combat in Syria in which defenseless civilians have lost their lives (see this article). In our attempts to save we kill, as violence begets violence, spilling over and consuming unintended victims. Closer to home thousands of unaccompanied minors fleeing gang violence in Central America are being deliberately kept from crossing the US-Mexican border, or are being deported back into life-threatening situations. Should Assad and Kim Jong-un refuse to bow to pressures and continue forward with their plans, how will the US administration respond? Will war erupt that will take yet more lives and breed more chaos? Today the USA dropped a 22,000 pound bomb (its largest non-nuclear bomb) to eradicate ISIS fighters in Afghanistan, and I cringe as I anticipate the results. Now is the time to expose efforts to unite people against demonized enemies. Today on this Friday of Holy Week we’d do well to remember how the crowd was easily rallied by religious leaders against Jesus as they called for his execution. In taking the place of the innocent victim as God in the flesh, Jesus subverted forever the scapegoating mechanism that brings false unity to punish and kill. It’s now up to us to continue to live in the freedom of that subversion. Jesus absorbed human hostility at his crucifixion, interceding for us in our blind violence: “Father forgive them for they know not what they do.” Let us agree with the mission of Jesus, who “draws all people to himself” in a true, redemptive unity rather than going along with calls to beat up on more bad guys. Let us find inspiration and empowerment from the resurrected Prince of Peace, waging peace alongside the vulnerable instead of war against the guilty. And the resurrected victim Jesus promises to be with us, to the end of the age. 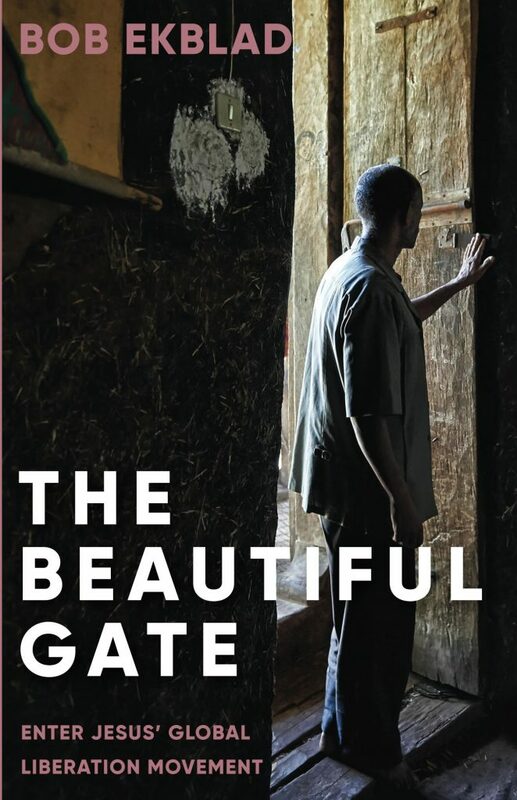 For further reflections on Jesus’ mission, see my new book, The Beautiful Gate: Enter Jesus’ Global Liberation Movement, which can be ordered here. Descriptions of God as a shepherd who looks for, finds and brings home lost sheep have always caught my attention, inspiring me in my calling to seek and find the forsaken. My own journey has taken me from suburban Seattle to rural Honduras and back to a jail and prison in Washington State and beyond— including a recent visit to a Scottish prison in Perth. As a lonely teenager I remember longing for some wise and caring person to find me, even accidentally. I prayed seemingly in vain that someone would see me, notice my pain and reach out tenderly to me in my isolation, so I wouldn’t have to risk further shame of taking the initiative in making my need known. My own perception that I was not sought out or found while growing up inside the church underlies my own calling to seek and find the not yet reached—and recruit and equip others to do the same. I have always been moved by the prophet Ezekiel 34:1-10’s critique of Israel’s shepherds, who refused to feed, strengthen, heal, bind up, bring back or seek after lost sheep. I love that God commits to doing this himself when humans don’t. “I myself will search for my sheep and seek them out. As a shepherd cares for his herd in the day when he is among his scattered sheep, so I will care for my sheep and will deliver them from all the places to which they were scattered on a cloudy and gloomy day” (Ezek 34:11-12). I myself experienced God’s unmediated search and rescue when half way up the Salathe Wall on El Capitan in Yosemite as an 18-year-old rock climber. There, on an exposed ledge amidst a lightening then snow storm, I cried out for salvation and experienced peace and a seemingly miraculous eventual descent. And yet Jesus’ life shows us God’s preference for mediated seeking and finding—which we are all called to emulate. Jesus embodied God’s pursuit of the lost, the strays, rejected, and law-breakers. In another favorite text Jesus describes himself as leaving the 99 sheep in the open pasture to seek until he finds the one that is lost (Luke 15:4). Jesus describes his access to sheep using language that resonates in prison contexts. “To him the doorkeeper opens, and the sheep hear his voice, and he calls his own sheep by name and leads them out” (John 10:3). Jesus describes himself as the “good shepherd” who lays down his life for his sheep. “I know my own and my own know me,” says Jesus (John 10:14. “They will hear my voice,” says Jesus confidently (John 10:16). But how exactly does this work should we desire to join Jesus in his shepherding ministry? Uniting ourselves to Jesus by faith is the first step, along with deliberate surrender to the Holy Spirit. A personal tie to Jesus the Good Shepherd gives us access to his Divine intelligence as to the location and identity of his at-large sheep. Jesus deputizes us and empowers us through the Holy Spirit with prophetic revelation and courage to join him in his lost-sheep finding missions—though risk on our part is always necessary. The Spirit’s equipping includes gifts of prophesy, healing, discernment and more. Recently a Church of Scotland prison chaplain named Ken invited Gracie and I to offer a day of training to some 20 prison ministry visitors and chaplains in HMP Perth prison. This prison had been founded to incarcerate 4000 French prisoners of war after the Napoleonic wars at the turn of the 19th Century. We knew Ken as he and two other Scottish prison chaplains had taken our recent Glasgow-based Certificate in Transformational Ministry at the Margins (see www.tierranueva-europe.org). As we were going through security to enter the prison I asked Ken if we could visit with prisoners after the training. He told us that he hadn’t gotten the needed pre-approval. However when his supervisor formally welcomed us he unexpectedly volunteered that we were welcome to meet with prisoners if we wanted to. After completing our training, Deirdre, a part-time chaplain who actually shepherds real sheep her other half-time, offered to take Gracie and I back to meet with prisoners for just a short ten minutes visit. I was surprised when she led us straight into a cellblock where inmates were circulating, taking showers and engaging in other activities. She quickly gathered eight of so of the men she had a weekly Bible study with in a side room, and introduced us. Aware of our limited time and this amazing opportunity, I asked God for any impressions he wanted to give us so we could minister to the men in the minutes that remain. Immediately the word Hepatitis C and knife pain in the lower back came to mind, and I asked the men if any of them had these conditions. A man with a big scar across his neck and right side of his face said he’d been feeling sick from his Hep C and we immediately prayed for him. Two other men and the chaplain herself said they had pain in their lower backs—but none of them had been stabbed. Gracie and I prayed for the men and Deirdre, and the men noticed immediate relief. We prayed for other conditions the Spirit revealed and the men were visibly moved. Then a strong looking guy who was clearly spending a lot of time in the weight room walked in. I introduced myself, shook his hand and asked him how long he’d been there. He said seven years. He asked what we were doing and I told him we were praying for people. “Can we pray for you for anything?” I asked. “No, no thanks, not me,” he said. I was surprised by what had just come out of my mouth—but was delighted to see the man visibly soften and take a seat with the others. Meanwhile Gracie had asked a man who had pain in his heart to put a hand on his heart and she began to pray. He was overcome with emotion and told everyone that something was happening in his heart, and that he felt heat going all through his body. Another even taller, tougher-looking guy came in at the end, and asked for prayer for a fellow prisoner who was too sick and distressed to leave his cell. Deirdre was was amazed to see the Spirit move in that way, seemingly expanding our ten minutes as the Spirit seized the moment to reach each man in a personal way. This was only possible because Jesus the Good Shepherd knew his own and was mysteriously calling them by name through us. The connection that was made possible through the Spirit’s presence was a rare and precious foretaste of the heavenly banquet feast to come… and I am longing to taste this again and again. Order my new book, The Beautiful Gate: Enter Jesus’ Global Liberation Movement here. In recent Bible studies in Skagit County Jail and in our Tierra Nueva worshipping community I have been struck by Jesus’ unusual approach regarding substances, whether they be food, drink or drugs. In substance abuse and recovery circles (and vegan and other religious circles too) there is often intense scrutiny around what goes into the body—via stomach, lungs or veins. Jesus’ words to the crowd in Mark 7:14-16 are counter-cultural to twelve-step and religious communities. “Listen to me, all of you, and understand!” Jesus insists, inviting his audience to pay particular attention to what follows– Jesus’ underlined and bold-faced message. But will we understand? “There is nothing outside the person which can defile him/her if it goes into her/him; but the things which proceed out of the person are what defile the person” (7:16), states Jesus, followed by an emphatic “If anyone has ears to hear, let him hear. At this point I define “defile” as “to make unclean.” I add that back in Jesus’ time most religious leaders considered someone becoming unclean through the contagion of direct contact with the dead, lepers, the disabled, blood and through eating certain foods prohibited by the Old Testament law, like pork. Being unclean was seen as keeping people from God’s presence, and from religiously “clean” people or places. “What kinds of substances are viewed as making someone unclean today?” I ask. People mention drugs and alcohol, and more specifically meth, heroine, and weed. Some also mention cigarettes. I bring up our local Skagit County District Court Drug Court, and ask what substances could show up in someone’s urine that would get them in trouble should a person under drug court supervision be suddenly subjected to a mandatory “UA” (urine analysis)? People mention how the presence of THC, methamphetamines, opiates, and alcohol would make someone legally “not clean,” unleashing penalties including banishment from drug court and incarceration. “So what exactly does Jesus say again about what makes someone not clean?” I ask, inviting someone to re-read the first half of Mark 7:16. People seem almost afraid to admit the obvious—“nothing!” They give me confused smiles, wondering where this is going. I remind people that Jesus has just introduced these words with a strong call to attention: “Listen to me, all of you, and understand!” So according to Jesus, it is really important that we get that we are not made unclean by external substances—even illegal ones. “So if substances, including food, drink and drugs don’t make us unclean, what does?” I ask, inviting someone to read the second half of Mark 7:16. “But the things which proceed out of the person are what defile the person,” someone reads. Let’s see what those things might be?” I ask, inviting someone to read Mark 7:17-19. There Jesus’ answers his disciples’ question about the meaning of this in a frank and clear manner, really getting down on his people for being so narrow minded. Before going further in interpreting this verse I remind people what I often hear from addicts about their drug use— they say they use because of the pain of traumas, and losses– “heart wounds.” Others use because of regrets or guilt due to their misdeeds. “So do drugs and alcohol heal those heart wounds or take away guilt and shame?” I ask. People are emphatic about how substances do not heal, but only comfort, or numb– permitting temporary and costly relief. I show them that Jesus is in full agreement with them. Drugs, alcohol and food do not penetrate the heart, but only go into our stomachs, lungs or veins. So according to Jesus they cannot make you unclean—because it is what comes out of the heart that makes you unclean. We read the next verses to see how Jesus invites still deeper analysis. We talk about how substances do not make us unclean. Nor do they heal or in any way address all these evils mentioned. Rather they can remove inhibitions or weaken our wills, so we don’t hold back from acting on these destructive thoughts in our hearts. 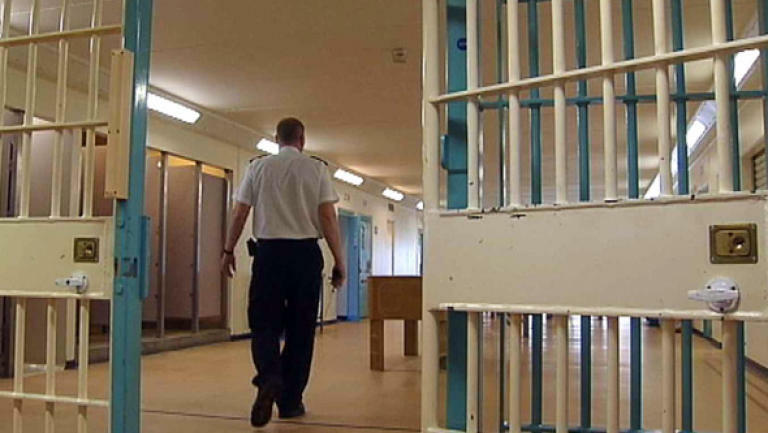 Men in jail admit that most are there for crimes committed under the influence. “So how can our hearts be effectively healed? I ask, inviting people to turn to Psalm 51 for some ideas. We use the remaining time to read through the Psalmist’s lines, identifying what he is doing and what we think about it. We see that the offender King David, fresh from an adulterous affair with Bathsheba and the killing of her husband Uriah, is not kept from God’s presence, but speaks to God asking for mercy. “Be gracious to me, O God, according to your loving kindness; according to the greatness of your compassion blot out my transgressions. Wash me thoroughly from my iniquity and cleanse me from my sin (51:1-2). David’s concrete actions of asking God to show him grace and forgiveness, to wash him and make him clean are attractive as they are possible for people here and now. This Psalm models confession of sin, repentance and turning to God in ways that inspire people when they know substance abuse, denial and running just get them into deeper trouble. I suggest that the only remedy for healing the heart is God’s forgiveness applied directly when we acknowledge and renounce sin. We read verse 6 about how God desires full-on transformation of our deepest selves, and people seem truly inspired. People are especially moved by the Psalmist’s strong words about God not wanting sacrifice but true contrition and deep change. Everyone is game to pray, and we take time to ask for God’s mercy, to confess and turn away from the sins the Spirit reveals, to ask for forgiveness, and to also forgive ourselves. I exercise my pastoral authority and declare all of our sins forgiven in Jesus’ name. There’s a palpable relief in the air, a feeling of lightness and even joy that comes in these times… and I’m ready to repeat this Bible study again and again. “The Beautiful Gate: Enter Jesus’ Global Liberation Movement” is now available! In these times of political upheaval and mass movements, I’m delighted to announce that my new book recruiting people into Jesus’ beautiful liberation movement is now available on Amazon. Here is a brief description and the Table of Contents. The Beautiful Gate is the site of the first healing Jesus’ disciples facilitate after Pentecost. Peter and John encounter a man lame from birth, disqualified and excluded outside the temple. In this prototype miracle, care for the poor and marginalized, respectful presence, relational connectedness, empowerment, and holistic healing in Jesus’ name coalesce, freeing the man to move through the gate, into the company of those who had previously excluded him. Once inside, the apostles offer a prophetic challenge, calling people to confession, repentance, and conversion. We are all sent out to join Jesus in his global liberation movement now. I know Bob Ekblad’s heart for the poor, the imprisoned, and the outcast. In his book, “The Beautiful Gate”, Bob reveals how Peter and John came alongside a castaway of society, a person not even looking for God. They demonstrated tender care and unconditional love for a lame man. Reaching out for him, they pulled him up and he was made whole. This is to be our model; to reach people no matter where they are or what they have done. As we walk with the lost, we take them through this beautiful gate and they become transformed as they come out on the other side. Carrying Christ’s presence and beckoning many to come and join the community of believers is Bob’s desire while traveling the globe. His story is one of self-emptying love and how this love breaks down every barrier to those that are leery of Christians. Spending time with the poor, or the prisoner, he wins their trust and ultimately their souls for Jesus. Read this book as a great study of Peter and John and how we too can do the impossible with signs and wonders. Just look at Bob’s life! 6 Transformation in Whose Name? You can click here to order a copy. This Epiphany as we celebrate God’s self-revelation as King Jesus, I am struck by the extreme danger of choosing to trust in self, other gods and human rulers. Today in America, Western Europe and beyond people are expressing their desire for stronger, more authoritarian leadership in a climate of increasing fear and insecurity. Many are calling for leaders who will put up walls, enforce laws with greater vigor and take stands for citizens against the rising tides of refugees, immigrants and terrorists. Jobs, borders, and benefits for us—not them. Today in America we see too many of God’s people reflecting a similar fatigue and request, and it appears to have been granted them in the recent presidential election (81% of White Evangelicals and over 60% White Catholics voted for Trump). While God’s prophet Samuel went along with the people’s request for a king in obedience to God, he did not endorse the majority sentiment and choice, and neither should we. Rather God told the prophet to solemnly warn people (v. 9) of the miseries that awaited them, which were played out in graphic detail as king after king did what was evil in the sight of the Lord, and the people ended up in exile. Samuel warned those who “elected” Israel’s first king of many negative consequences (see 1 Samuel 8:11-17), bluntly stating “then you will cry out in that day because of your king whom you have chosen for yourselves, but the Lord will not answer you in that day” (v. 18). Samuel anointed Saul and then the Old Testament prophetic tradition of speaking truth to power stepped into high gear. Now is the time for a resurgence of prophetic ministry informed by Word, Spirit and street realities. It is critical that anyone stepping into this calling be rooted and grounded in God’s love, be informed by sources dear to God’s heart, exercise great wisdom, and are bold in speaking truth. Scripture informs God’s prophet, who learns that the One awaited as God’s Messiah is a King not like the leaders of other nations. This King puts the poor and vulnerable at the center. Attentive listening to the poor and marginalized in our communities will alert us to the failure of political parties past and present to address the deeper wounds, maladies and injustices that breed chaos in our streets, and to the high-priorities that elected officials must address. Urgent is the need for reformation of the US prison and immigration systems, and the way law-enforcement is practiced. Our legal systems require a deep overhaul, without which vulnerable people will continue to be crushed under the weight of sanctions, requirements and debt. 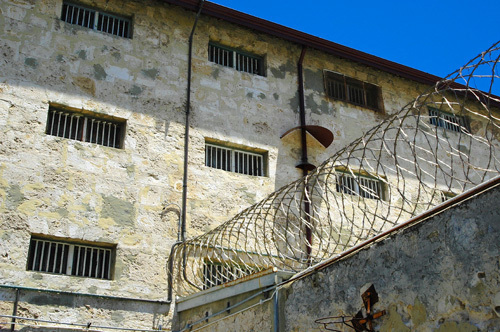 Effective reformation can only happen if the voices of prisoners and their families, undocumented immigrants and their advocates, those struggling with addictions and mental health disorders and their advocates are pursued, heard and responded to. Are there any signs that these are the priorities of today’s political leaders? If not, we must call for this and ourselves embody lives of reformation in alignment with the Biblical prophetic call for justice. Without reformation from the bottom up (as well as from the top down), there will no peace in our lands—but rather growing chaos and the rise of the police State. And without the one and only Peacemaker Jesus himself– and a growing movement of people devoted to following him, there will be no peace. This is the One who the wise men from the East were led to by the star, the One wrapped in swaddling clothes, who the shepherds first found. Jesus must be lifted up by Christians as Commander-and-Chief in these perilous times. Jesus’ inauguration happened on the cross as he was robed, crowned with thorns and crucified King of the Jews, and continues to be effective now. If you are an American, consider commemorating Jesus’ inauguration as King this January 20 through reading the Gospel account, celebrating communion or affirming your own declaration of allegiance. Unlike a strong armed, authoritarian leader Jesus came to: “break the yoke of their burden and the staff on their shoulders, the rod of their oppressor, as at the battle of Midian. For every boot of the booted warrior in the battle tumult, and cloak rolled in blood, will be for burning, fuel for the fire. For a child will be born to us, a son will be given to us; and the government will rest on his shoulders; and his name will be called Wonderful Counselor, Mighty God, Eternal Father, Prince of Peace” (Isaiah 9:4-7). Following Jesus, the Prince of Peace is about joining a movement that began long ago and must continue forward through the humble work of loving neighbors: feeding the hungry, inviting in the stranger, clothing the naked, visiting prisoners. (See the Matthew 25 pledge). Stepping into Jesus’ movement is joining the only side that brings God’s government into our broken world, as Isaiah 9 beautifully prophesies. “There will be no end to the increase of his government or of peace, on the throne of David and over his kingdom, to establish it and to uphold it with justice and righteousness from then on and forevermore. The zeal of the Lord of hosts will accomplish this.” May you be filled with zeal for Jesus and his Kingdom this Epiphany and beyond as you begin 2017. On December 4th I flew to Washington DC from Seattle via Houston to participate in Faith Table Retreat, a gathering of 60 or so Christian leaders from across the USA to discuss the distressed state of the Nation post-election and to discern what the Spirit is saying to us in these troubled times. The trip got off to an interesting start with two special conversations with people who both had experienced devastating traumas, some measure of protection and new-found hope. These encounters were strong reminders of how Jesus continues his revolutionary movement to bring change from below—in the midst of political victories of the powerful. As the plane was taking off from Houston to Washington, D.C. the young Latina woman seated beside me nervously crossed herself and bowed her head. I asked her if she was afraid, and she said “a little.” She told me she doesn’t fly often but was returning from Honduras. We began conversing in Spanish about her upbringing in Honduras and Gracie and my long history there. We talked about the escalation of violence there in recent years, and I shared briefly how impoverished rural communities Tierra Nueva serves have been affected and the challenges of pastorally accompanied people traumatized by that violence. She then shared the story of how six years before when she lived in Honduras armed men dressed as police stopped her while she was driving, robbing her, beating her up and steeling her car. Traumatized by this experience she moved to the USA where her father lives, completed undergraduate and graduate degrees in international business here and then in Spain. Recently she was hired by a global health organization in Washington, D.C. that had just sent her on her first work trip back to her beloved country and place of traumatic memories. She shared her growing love and concern for Honduras and her longing to see deep reformation that would address the needs of the poorest people. As I listened to her I got the strong impression that God was raising her up into some kind of significant leadership role—maybe even at a national political level. She was moved as I shared my impressions with her. She told me how she was feeling drawn to return to Honduras to work for change. She also shared how a Christian friend who prays for her recently prophesied that God was raising her up for some prominent public role. As I continued reading, several verses really jumped out regarding God’s commitments in the world. Today’s lectionary reading from Isaiah 26:5-6 echoes this manifesto. Upon arrival I contacted an Uber taxi and was soon picked up for a thirty-minute journey to my hotel. Detecting a Middle-Eastern accent, I asked the driver where he was from and he said “Yemen.” I was amazed as Yemen has been on my heart lately. I shared with him how I have been following events in Yemen and have been deeply troubled by news of an escalation of attacks from Saudi Arabia with US support, and the alarming terror and hunger that have resulted. I shared how on October 30 we had flown over Yemen on a flight from Nairobi to Dubai- and how I had felt moved to pray for his nation. He told me he had fled Yemen with his wife and two young children less then two years before. He said his father owned a chain of supermarkets and he had left his job overseeing over 500 employees, traveling with his family by bus on a dangerous journey to Saudi Arabia and on to the USA, where he had studied for many years when he was younger. Now he is enjoying a less stressful job with more quality time with his wife and children. We talked about conflicts in the Middle East and the refugee crisis, and I shared with him my burden to see individual Christians and churches embrace immigrants and refugees. I told him how I worked with undocumented immigrants in Washington State and felt a particular call to pastor prisoners, especially violent offenders. “I really admire what you are doing. There is a big need for this. There are many guns and fighters everywhere in Yemen,” he said. He then shared the story of how several years ago when living in Yemen he was followed on his way home from work by two vehicles. When stopping to buy a watermelon, armed men surrounded him, ordering him to come with them or they would kill him. He shared how they drove him up into the mountains and held him for forty days in a safe house. During those days awaiting the payment of ransom by his father the bombing by Saudi Arabia was escalating. “I was much safer in the mountains with my captors then my family was in the city. I was so worried about my family!” he said. He told me how he got to know his captors, who treated him fairly well, even letting him use his cell phone to stay in contact with his family. After his ransom was paid and he was released, he learned that one of the leaders of the militants who kidnapped him had bought a car with the ransom money. Shortly thereafter he was in a car accident where he and his father were killed, and his two brothers were badly injured. I was amazed by my Muslim Uber driver’s sadness as he told me about these deaths, and his heartfelt compassion for his captors. I asked him if I could pray a prayer of blessing over him as we arrived at the hotel and he enthusiastically agreed. I prayed grace and peace and abundant blessing over him and his family, in Jesus’ name, and we both felt the strong and loving presence of the Holy Spirit. I just phoned him and we hope to stay in touch. I told him how impressed I was by his attitude towards his captors. “There is no room for hate in our hearts,” he said. Meetings at the Faith Table gathering were both troubling and encouraging. Troubling are the hardened attitudes towards the poor, tendencies to scapegoat those on the margins, and alignment with the interests of the powerful identified by these leaders across the USA—especially when they are among people who identify as Christian. Disturbing are fears and signs of harsh new policies that will directly hurt the most vulnerable: undocumented immigrants, people of color, the incarcerated, gang youth, Muslim immigrants, refugees, and the environment. I was deeply encouraged to meet many faithful Christians from different ethnic backgrounds, denominations and organizations, committed to advocating for the most defenseless in these dark times. I am heartened to hear of a new national call based on Matthew 25 for people of faith to commit to protecting the most vulnerable. I am inspired by my own personal experiences on this trip that God’s Kingdom is going in the opposite direction of the disturbing apparent advances of the powerful: bringing down rulers from their thrones. God is exalting the humble, and filling the hungry with good things. May we more fully align ourselves with the poor and vulnerable who God is raising up. May we step more fully into Jesus’ mission, seeking first Jesus’ Kingdom and his righteousness. For a number of years now our local jail has housed gang-involved inmates in segregated units to avoid run-ins with enemy gang members. At times though the normal stresses of incarceration combine with internal tensions within a gang, leading to fights between fellow homies. For nearly four months this summer and fall inmates from one particular gang where locked down often three to a cell, 24/7 as deterrent and punishment for fighting. During these months they did not benefit from weekly Bible studies nor daily time out of their cells for recreation and meals. A few weeks ago I was able to meet with this group for Bible studies two Thursday nights in a row. These thirty-minute gatherings have been precious tasters of the Kingdom of God. The first time we met together nearly the entire inmate population of the lower tier of the pod that housed these men attended. 15 or so guys shuffled in and took their seats on blue plastic chairs around our familiar circle. Many of these men I’d known for years. Matt and I made the rounds shaking everyone’s hand, warmly welcoming them before we formally began our meeting with a prayer. I talked directly about their official label as an STG (Security Threat Group). I invited them to look at how Jesus and his disciples were also considered an STG. “Check this out you guys. Jesus himself was rejected and given the death penalty by the authorities, who considered him a security threat. Peter confronts the people about this here in Acts 3:14-15, right when he’s got their full attention after a man lame from birth has just been healed. Can someone read these verses for us?” I ask. “God glorified his servant Jesus, the one whom you delivered over and disowned in the presence of Pilate, when he had decided to release Him,” one of the men reads. “But you disowned the Holy and Righteous One and asked for a murderer to be granted to you, but put to death the Prince of life, the one whom God raised from the dead, a fact to which we are witnesses. (Acts 3:14-15). These men who’ve been shelved away in lockdown readily identify with the sting of rejection and the stigma of being an STG. They easily sympathize with Jesus, who Isaiah earlier described as “despised and rejected of men, and man of sorrows and acquainted with grief” (Isaiah 53:3). They are moved by God’s acceptance of Jesus—the one rejected by the status quo. I invite the men to go against the current of the world’s ongoing marginalization of Jesus, valuing him instead as the “living stone, rejected by men, but choice and precious in the sight of God” (1 Peter 2:5). I invite them to choose to receive him who the world did not recognize and his own people didn’t accept—and there’s no resistance. We end with prayers for everyone, focusing special attention on a man who sobbed as he recounted how his 15-year-old daughter had overdosed on heroine five days before. The following week another colleague Mike and I were able to minister to this same group of inmates in a thirty-minute session that felt like heaven touching earth. Mike brought his guitar and I offered to pray for the 12-15 men while he sang a worship song over them. Mike sang with great tenderness as I made my way around the circle behind the men, gently placing a hand on their shoulder and praying. As I prayed I sensed an outpouring of divine love for the men that went far beyond words. By the time I made my way around the circle many of the men were wiping tears from their eyes. I sat down and expressed how I was sensing God’s huge heart for each of them. “Can I say something?” asked a huge guy I didn’t remember ever meeting. “Yeah go for it,” I said. Humbly he recounted a violent crime he had committed and confessed that he had even beaten people up for pay. This led one of the gang leaders to share how he and many of the others had lots of people they hadn’t forgiven who they probably should forgive. The kindness of God seemed to be inciting a wave of repentance, which fed right into a few verses from Luke that hit home for me and the men in a fresh way. I asked someone to read Jesus’ words in Luke 6:26-36. As a particularly well-known local criminal read Jesus’ words it felt like they were highlighted and struck home with particular authority. The men were nodding at these most challenging words, and each nod looked like heart doors opening wider as the light of Christ flowed in like liquid medicine. Loving each other was a better alternative to fights and the seclusion of lockdown—but Jesus’ teaching offered more. “If you love those who love you, what credit is that to you? For even sinners love those who love them. If you do good to those who do good to you, what credit is that to you? For even sinners do the same,” the pod’s shot caller continued to a fully attentive audience. The codes of the street and of America’s legal system were being directly challenged. I explain that “credit” is the word charis, meaning grace, gift, benefit. “As we move in the opposite spirit of enemy hate—choosing to instead love, bless, do good to and forgive we will receive real benefits from God. And this is something we can do right here, as long as there are still enemies to love and forgive” I continue, before the final verse is read. “But love your enemies, and do good, and lend, expecting nothing in return; and your reward will be great, and you will be sons of the Most High” —an appealing prospect to people being punished, who themselves are desperate for acceptance into a new family and the Father’s embrace regardless of their attitude. In the remaining five minutes or so before the guards come we lead the men in prayer, confessing our sins, receiving our forgiveness, forgiving ourselves, forgiving our enemies. I leave them with homework to continue the process, and it seems like we all leave having already tasted the grace, the reward for living as sons of the merciful Father… and abundant ongoing provision is available for the receiving. Recent news has me reeling between outrage and grief: 84 people killed in Nice; police shootings of black men and subsequent killings of police in the USA; war and starvation in Nigeria; attacks in Orlando, Bagdad, Mogadishu, Istanbul, Ankara, Brussels, Paris, Los Angeles and so many other places. Insecurity and fear are on the rise, and apathy, anger and cynicism lurk. Now is the time for followers of Jesus to stay focused and remember who we are and what we’re about. Those who receive Jesus and believe in his name are given authority to become children of God. New birth into God’s family does not happen through natural bloodline (race, ethnicity, nationality), human desire or decision (ideology, religion or democracy) but by grace through adoption by the Father (John 1:12-13). These words of Jesus’ prayer to the Father for his disciples ring deeply relevant now: “that they may be one even as we are”…“The world has hated them, because they are not of the world, even as I am not of the world”… “Sanctify them in the truth; your word is truth.” “As you sent me into the world, I also have sent them into the world” (John 17:11, 14, 16-17). In today’s world hatred and division are rampant. Nationalist movements are on the rise in Europe, North America and beyond, offering the promise of heightened security and well-being for limited beneficiaries through increasing defense, law-enforcement and controls: borders, surveillance, prison sentences, deportations and the like. The UK’s recent 52 to 48% vote to leave rather than stay in the EU and the United States’ current near fifty-fifty Democrat versus Republican split reveal some dangerous polarizations that Christians must avoid falling into. Rather we must be clear about our identity and agenda as Christ followers. Jesus warned his disciples that lawlessness would increase and most people’s love would grow cold.” Jesus himself stated “the one who endures to the end will be saved. And this Gospel of the Kingdom must be preached for a witness to all the nations, and then the end will come” (see Matthew 24:12-14). So how do we rightly endure the increasing lawlessness and proclaim Jesus’ Kingdom in these turbulent times? God calls people to not put their own homeland, family and individual interests first. God calls Abraham and his spiritual descendants to be a blessing to every family on the earth (Genesis 12:1-4). This call continues from Genesis to Revelation, with Jesus embodying God’s sacrificial love for the whole world (John 3:16). Now is the time to connect with God’s perfect love that drives out all fear. Now we must deliberately receive—not a spirit of fear “but of power and love and self-control” (2 Tim. 1:7). Now is the time to heed Paul’s call to “not be conformed to this world, but be transformed by the renewing of your mind, that you may prove what the will of God is, that which is good and acceptable and perfect” (Romans 12:2). Gracie and I and our Tierra Nueva staff are seeing signs of hope and transformed life in the Skagit Valley and beyond. Every time we minister in jails or prisons we encounter people hungry for God and eager for change. We see people longing to step into their heavenly identity as God’s beloved sons and daughters. We often celebrate the surrender of the old identity for the new in baptism. This past Sunday we baptized five people coming out of lives marked by lawlessness. 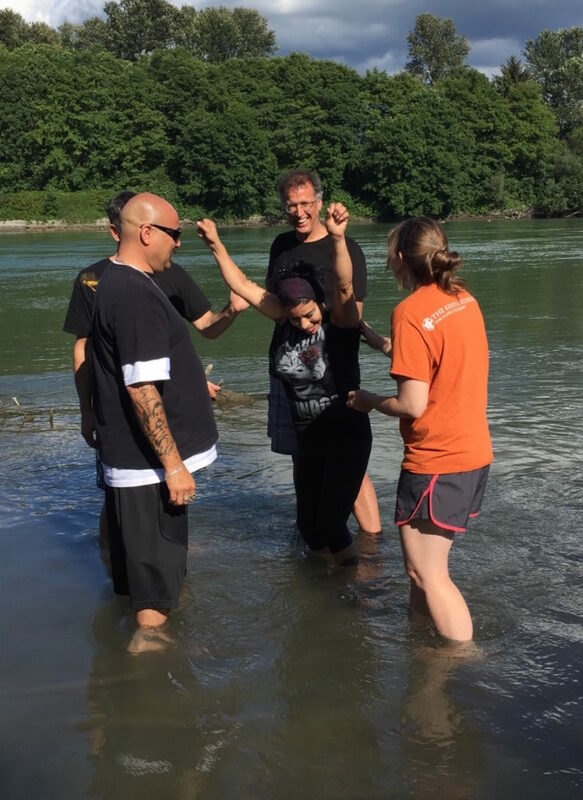 People went under the waters of baptism in the frigid Skagit River, trading old identities for new life in Christ. Further training of new Christians and future missional workers regarding identity and mission are our highest priority in this season. This past six months we have completed our first three (9-12-month-long) Certificates in Transformational Ministry at the Margins (CTMM) cohorts in Burlington, London and Seoul. Over 70 people finished our training, geared to strengthen existing ministry workers and prepare new ones for pioneer efforts to share the good news of God’s transforming love in Jesus (the Gospel of the Kingdom) to under-reached and unreached people. Our CTMMs gather people hungry for deeper reflection and fellowship with like-minded people. In these trainings we seek to deliberately bring together Bible study and theological reflection, empowerment and gifts of the Holy Spirit and social justice/advocacy on behalf of the poor and marginalized. The training consists of five strands, which are woven together over 9-12 months including three 3-4 day gatherings with distance-learning in between. These strands include: God’s identity and mission and ours; healing & holistic liberation: Biblical foundations and practices; the place of advocacy, justice & peace-making in mission; Word on the street: preparing & leading transformational bible studies; and practical reflections on how this works in our lives and ministries. In January we launched a new CTMM in Zimbabwe with 115 pastors and church leaders. This Fall we are starting four more cohorts, in London,Glasgow, Burlington and in Western Kenya. If you are interested in being further equipped to announce and live out the Good News of Jesus’ Kingdom in the face of today’s big challenges we encourage you consider joining one of these cohorts closest to you. Click on the links for more information and applications. Tierra Nueva’s (TN) focus both in Honduras and in the Skagit Valley is reaching people marginalized from society and church, the “lost sheep” of Jesus’ parable in Luke 15 as priority over the 99 already gathered ones. And yet we are seeing that safe, welcoming and nurturing “sheep pens” are essential—places to carry the ones found where they can be embraced, cared for, healed and empowered. On a recent trip to Honduras I accompanied TN’s pastor David to villages and homes that he visits, and to our coffee farm that funds the ministry, supplying coffee to our Underground Coffee Project here, whose profits support ministry workers. For years now David has focused on households as sheep pens, identifying “people of peace” as Jesus directed in Luke 10. We call these “households in transformation”, whose hosts welcome Jesus’ sent ones— offering hospitality, receiving prayer for healing and the message shared about Jesus’ transforming love. David regularly visits a number of families, and is actively building community in places marked by extreme poverty and exclusion. I joined David to visit these households and to inaugurate a larger sheep-pen church in the town of Mal Paso. One afternoon we hiked up dirt roads that turned to trails to visit several homes on the edge of town that each included single mothers with children. 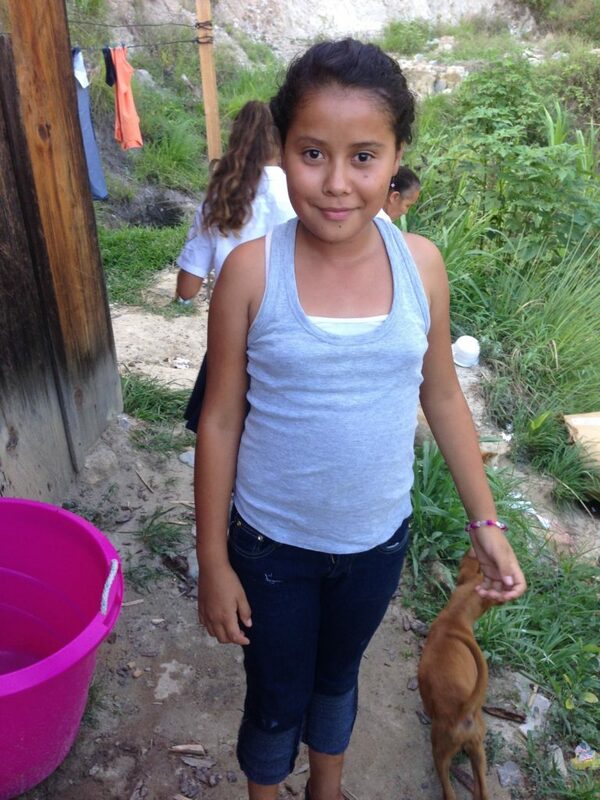 In the first home I met Antonia and her ten-year old daughter Vero (pictured below). Three or four other women, a handful of children and an older man named Juan Baptista were also gathered to meet us for coffee, a Bible study and prayer. The people shared challenges revealing how entrapped the poor can feel by local laws set up to protect the fragile environment. Strictly-enforced rules govern the cutting of firewood to protect the forests as the majority of people cook over wood-fueled earthen stoves. Forest conserving efforts are urgent due to the southern pine bark beetle plague, which in the past year has ravaged half the pine forests in the country in what experts call an ecological catastrophe attributed to climate change. If someone’s rafters are termite-infested and ready to collapse, people are required to pay the mayor’s office per linear-foot for a two-day permit. This fee is nearly impossible to pay for the poor majority—like Antonia, who works from 6am-1:30pm six days a week as a maid for a wealthier family, earning 1,500 Lempiras per month—that’s only $66.00! A day-wage earner makes $5.50 a day—and the cost of living is high. Making your own adobe blocks to build a house is only possible during the dry season. However, the mayor’s office prohibits the use of water for making adobes so there will be enough water to meet the villagers’ even more basic needs. Consequently, Antonia and her neighbors must hike down to the river below town and haul sewage-contaminated water in buckets up the hill to make adobes. Antonia’s husband had left for the USA to work right before Vero’s birth ten years before and they haven’t heard from him since. So Antonia, like many of her neighbors, must fend for herself. The Biblical text that came to mind to read with the people was the depiction of Pharaoh’s attempt to destroy Israelite baby boys and the women’s covert resistance in Exodus 1-2:10. I heard story after story of Honduran equivalents of Pharaoh’s death campaigns: assassinations, kidnappings, and men and women leaving the harsh conditions of Honduras and their families for “los caminos” (the roads taken by undocumented immigrants to North America). Exodus begins with good news from the start, as we first read about the people of Israel’s exponential Spirit-infused multiplication in the aftermath of the death of Jacob and his sons in Egypt, and Pharaoh’s enslavement and increasingly harsh treatment of the people– though multiplication means more mouths to feed. 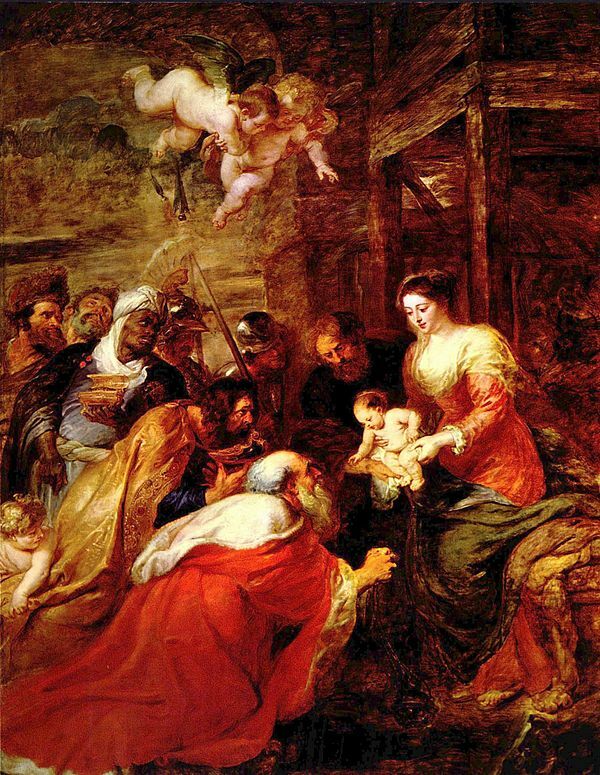 The Honduran women and kids seemed intrigued by the Hebrew midwives Shiphra and Puah’s refusal to obey Pharaoh’s orders to kill Hebrew baby boys. Everyone laughed at the midwives outright lie to Pharaoh and crafty use of Egyptian prejudices to cover up their law breaking. “Because the Hebrew women are not as the Egyptian women; for they are vigorous and give birth before the midwife can get to them.” Everyone seemed surprised and even delighted that God blessed the midwives with families for their non-cooperation and deception. We read the story of how Pharaoh commands all Israelite baby boys to be throw into the Nile River, about Moses’ birth, his mother seeing his beauty, hiding him, and sending him downriver in a basket– with Moses’ sister following to spy out the outcome and figure out a scheme to somehow interfere to save his life. The people were still captivated as one of the children read about Pharaoh’s daughter spotting the basket, sending her servants to fetch it, opening the basket, seeing the baby boy crying and having compassion on him—with full knowledge that he was one of the Hebrew’s children. Pharaoh’s daughter’s disobedience of her father’s edict and deliberate aiding and abetting a fugitive, Moses’ sister’s sneaky offer to find a Hebrew woman to nurse the child for Pharaoh’s daughter (Moses’ very mother) and Pharaoh’s daughter’s adoption of Moses bring us to a final summarizing moment. God is not on the side of the powers of death as some might think who see God as all-powerful sovereign. God is 100% about the preservation of life, saving the most vulnerable, threatened people. God works through the weak and unsuspecting even as they use crafty and even outright deceptive and illegal means and blesses them for their resistance. So God wouldn’t punish them should they sneak some water for adobes or a fallen pine tree for a rafter. People’s faces were shining as we sat around with our bibles, pondering women’s resistance triggered by simple observation and compassion. Suddenly I saw a link I had never noticed between the seeing-inspired resistance of Moses’ mother, sister and Pharaoh’s daughter and Jesus himself. I invited people to read Matthew 9:26-38. As Antonia read this verse with her neighbors there on the hillside, Jesus’ caring gaze as the Good Shepherd suddenly felt irresistible. I asked the people if there were feeling drawn to Jesus, who sees us and has compassion on us and wants to recruit shepherds to go out to seek and find. The women, kids, and Juan Baptista all wanted to pray with David and I to accept Jesus and surrender our lives to him. They all wanted to be part of his mission to save lives like the women in Exodus, and to find distressed and dispirited sheep for his harvest. I saw some of the kids with their palms out as we continued to pray for those who wanted to receive the Holy Spirit. At this point we asked if anyone had any special needs for prayer. Antonia mentioned that her daughter Vero had skipped school that day because she didn’t want to miss being prayed for. Vero had lost much of the eyesight in her left eye and had lost ten pounds over the past few weeks. David and I prayed for Vero and she cried gently, telling us later that she felt deeply touched by God. The next day we traveled to the town of Mal Paso and gathered with sixty or so villagers to inaugurate our first actual Tierra Nueva church building in Honduras. Every other week Antonia, Vero and their neighbors pile into the back of the TN pickup and travel the 40 minutes to Mal Paso to gather with others like themselves in the larger sheep pen. Just a week before David opened the new church building to host a service for an especially marginalized participant in our faith community there who died of AIDS—something that he says would never happen in local churches. 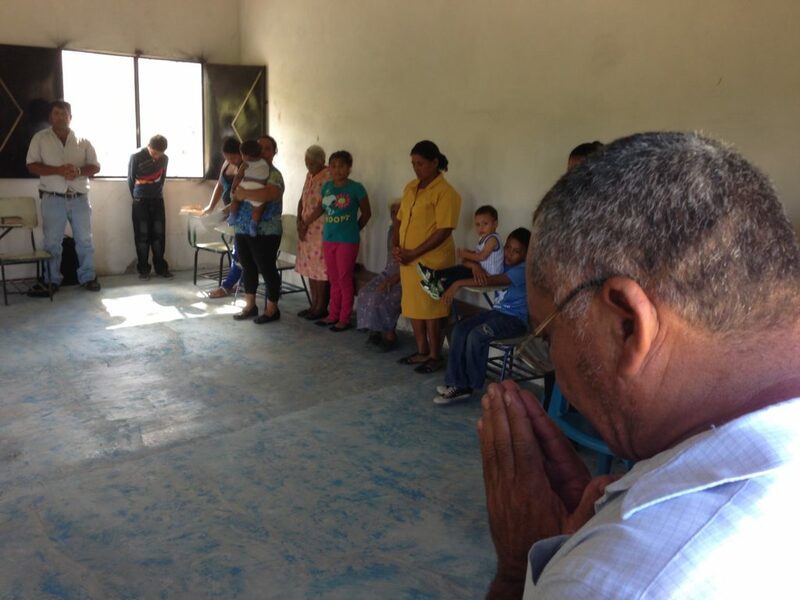 Please keep David and Tierra Nueva’s ministry in Honduras in your prayers. I have just learned that Vero’s blood tests show Leukemia. So please join us in praying for her full healing. To learn more about Tierra Nueva Honduras, click here. To support click here. Tierra Nueva’s The People’s Seminary is offering year-long Certificates in Transformational Ministry at the Margins beginning in the Fall in London, Glasgow and Burlington, Washington. Click on the locations for more information and applications.